We would love to mix desi with modern but how many times do we try but fail to find such designs? 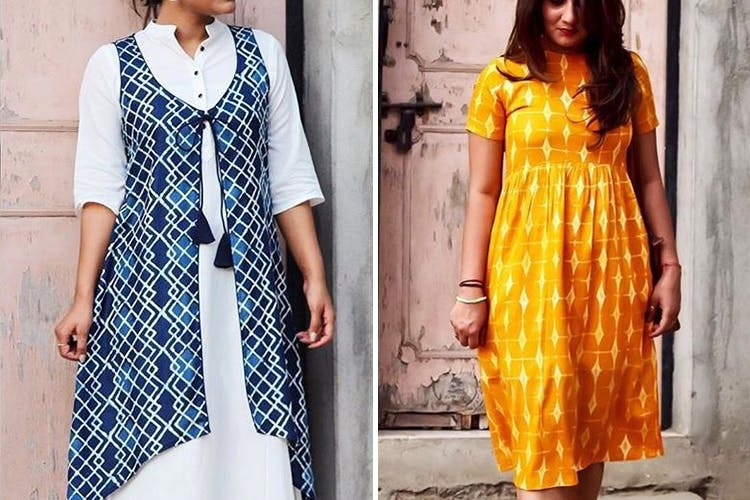 Young designer, Niharika Lohia, has come to our rescue by mixing up ethnic prints with modern designs to give a rather quirky clothing line, Drama Official. What’s more? She’ll deliver her designs to your doorstep. Drama Official was designed keeping in mind that everyone deserves some drama in their wardrobe. Hence, the designs take up ethnic prints and adds a dash of drama to kurtas, skirts, pants, palazzos and even shrugs. What’s more? They will deliver everything within 2 days! And what’s even better? Their stellar designs are all priced under INR 1, 500. The cleverly thought out designs are something we all need in our wardrobe when we want a semi-casual outfit that will keep us comfortable and also look absolutely stellar. Order online from the young designer and have it delivered right at your doorstep–If you want to keep it casual and quirky but don’t know how to go about it, just check out Drama Official for designs that mix drama and ethnic. They currently don't have website which would make it a bit organised and easier to browse through their whole collection. Follow their social media–Facebook and Instagram–to keep up with the latest designs. For prices and placing orders, shoot them a DM (they're more responsive on Insta).